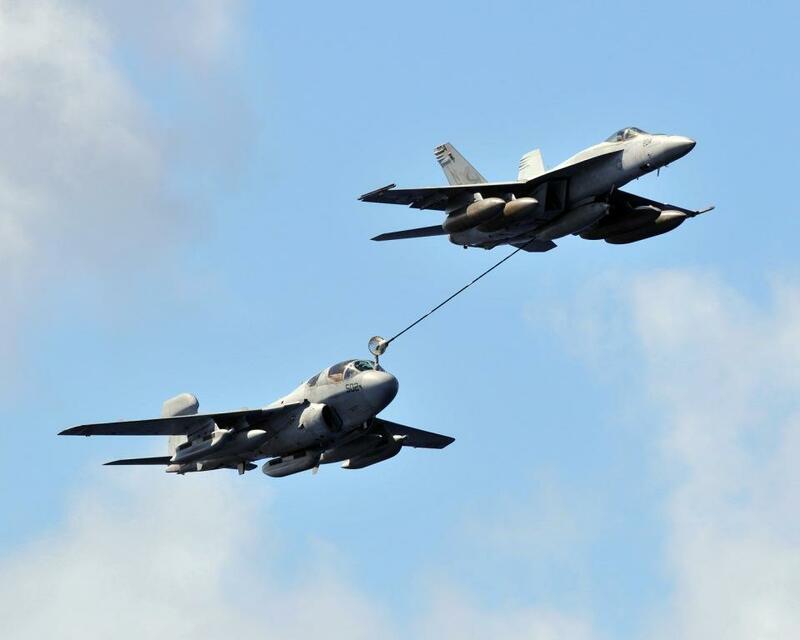 The 124 Prowlers from the US Navy take care of the electronic warfare. They are stationed by USMC squadrons and on US aircraft carriers. 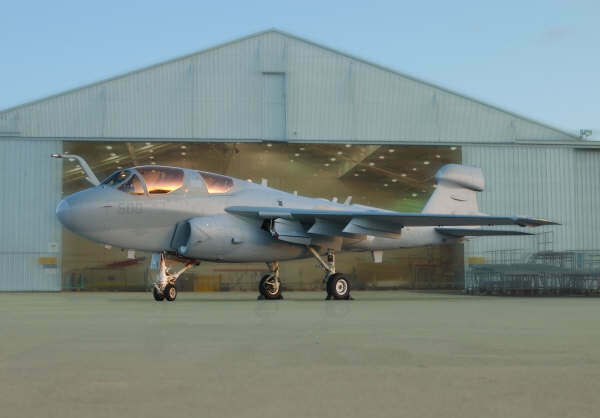 The primary mission of the prowler is suppression of enemy air defenses in support of strike aircraft and ground troops by interrupting enemy electronic activity and obtaining tactical electronic intelligence within the combat area. 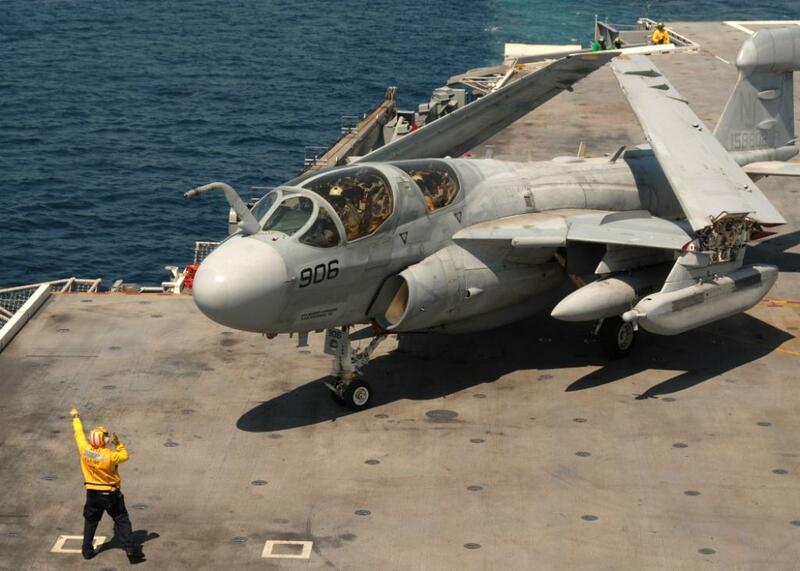 The EA-6B prowler will be replaced by the EA-18G Growler in 2010. The EA-18G Growler is a specific fighter jet version designed for electronic countermeasures. The crew consist of 1 pilot and 3 countermeasures officers (1 in the front and 2 behind them). The Prowler can carry the AGM-88 HARM air-surface missile against enemy land- and sea artillery and air-defence missile systems. 1) The ALQ-99 board receiver 2) ALQ-99 pod mounted jamming system. This takes care of radar jamming and has 10 bandwidths. The Prowler can carry 5 pods of them. The CPU handles the incoming signals and compares them with in memory stored enemy codes. 3) a USQ-113 communication jam system. 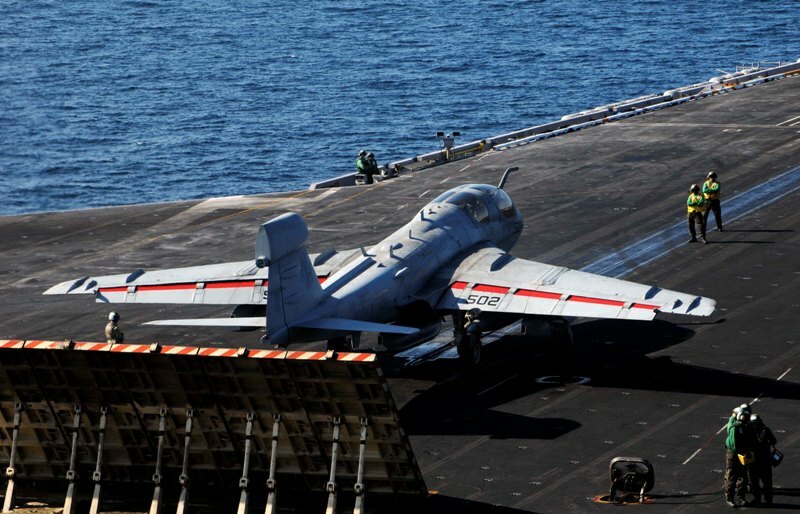 The Prowlers get updated with 2 important updates which will be done by Northrop Grumman; the Increased capability (ICAP) III and the Multifunctional Information Distribution System (MIDS). The Increased capability (ICAP) III upgrade takes care of a improved receiver system (thanks to the AN/ALQ-218 receiver), a more precision threat emitter geo-locator and a more selective reactive jam capacity against modern threat systems. New systems are: new cockpit displays, improved connective systems systems and a improved reality system. The upgrade of the first aircraft started on low scale in June 2003. The Multifunctional Information Distribution System (MIDS) upgrade takes care that Prowlers can receive data and use warfare network: Link 16. Initial Operational Capacity IOC was planed for march and november 2005. 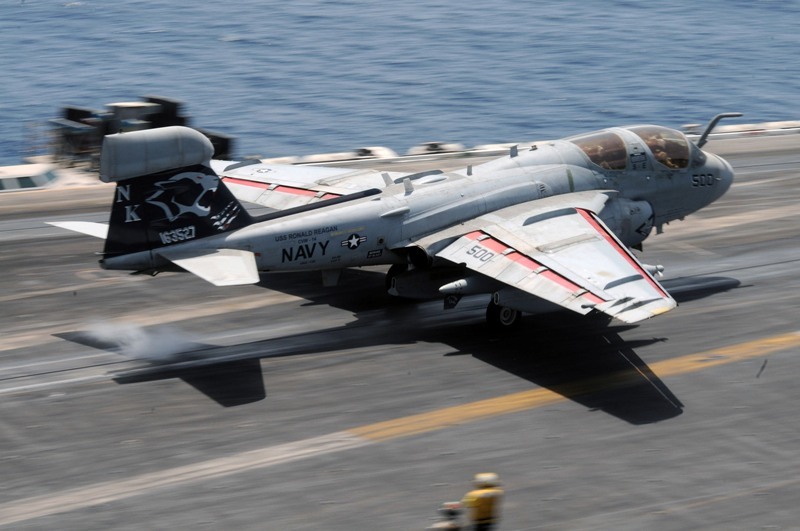 US Navy electronic Attack Squadron 139 (VAQ-139) became the first operational prowler squadron to deploy at sea with the Prowler in the ICAP III configuration. This squadron is aboard on the US Aircraft carrier USS Ronald Reagan (CVN 76).